Glasgow is well known for being lively, cosmopolitan and a city which is “buzzing” with energy due to the large variety of bars, restaurants, music venues, theatres and galleries. The city is known as the”Dear Green City” and has some of the largest area of public park of any city in Europe. One of Europe’s most vibrant, dynamic and stylish cities, Glasgow has been named the number one UK destination “on the rise” by the world’s largest travel site, TripAdvisor® and they’ve also named the city as the third best destination in the UK, in the 2013 Travellers’ Choice Destinations Awards. A must see is the splendour of Scotland’s best known architect Charles Rennie Mackintosh, whose style adorns many unique attractions throughout Scotland’s largest and greatest city. Art and culture are important in Glasgow life where galleries and museums are in abundance – most with free admission. A choice of over 20 includes the world’s first Museum of Religion and the renowned Burrell Collection in Pollok Park. No visit would be complete without experiencing the city’s shopping with high street stores, designer labels, and speciality outlets to explore, with welcome pit-stops in the first class cafe culture around the Italian Centre, Merchant Square, Gallery of Modern Art or the Buchanan Galleries. The Style mile refers to the square mile in the very centre of Glasgow which houses the most extraordinary concentration of shops – from unique designer stores to flagship stores for British and international retailers. Over 200 stores, many exclusive to the Style Mile are now open until 7pm every Monday, Tuesday, Wednesday and Friday. Glasgow is now the envy of many European cities for its amazing and eclectic restaurant and café scene. During the summer months, enjoy alfresco dining on the cobbled streets of the West End or travel into the city centre’s Royal Exchange Square or Buchanan Street and Merchant City. After a busy day of shopping and sightseeing, you will be spoilt for choice with the city’s eclectic selection of bars and restaurants. 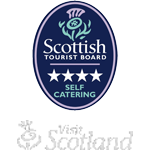 From traditional Scottish fare to Indian, sushi to tapas, whisky to cocktails, every taste is catered for. And if after all that you still have the energy to party, you can check out the city’s buzzing nightlife – clubbing, comedy, music, theatre or film – the choice is yours.